We’ve got a new rumor coming to us that says that Early Morning Magic is coming back to Disney’s Hollywood Studios. 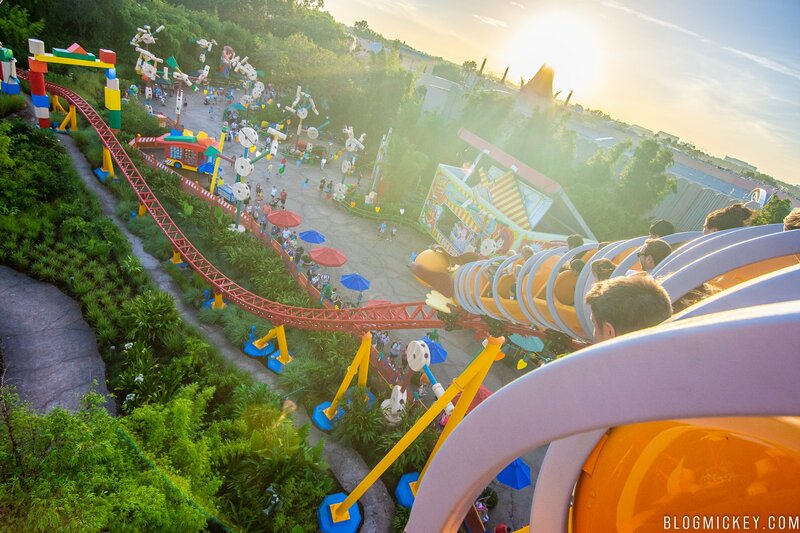 With the recent opening of Toy Story Land, it would seem that Disney is looking to take advantage of the new land by bringing Early Morning Magic back to the park. Beginning at 7:45 a.m., guests can enter the park and experience Star Tours – The Adventures Continue, Toy Story Mania!, Pixar Place character greetings (with Woody and Buzz), and Mickey and Minnie on Commissary Lane and Olaf at Celebrity Spotlight. Guests can also partake in an all-you-care-to-enjoy breakfast at ABC Commissary from 8-10 a.m. While we don’t know yet what an Early Morning Magic at Disney’s Hollywood Studios in 2018 would consist of, it would very likely center around Toy Story Land. So when would it start? Don’t plan on it starting before September 3rd, as Disney is still hosting daily morning Extra Magic Hours for resort guests through September 2nd. From what we’re told, this will be a dining event like Early Morning Magic in Magic Kingdom. Beyond that, we’re not sure if the dining portion of the event will return to ABC Commissary or a different dining venue. No price is known at this time.